Jackie Lime is a man out of time. He cut his chops in moist jazz clubs during the 1960's, crooning classic standards to any passing Joe. He made a name for himself in the New York City scene where one could find Jackie each night performing in dens of debauchary and havens of hedonism. Due to his aggressively different style, Jackie quickly rose to the tippy-middle of the NYC jazz scene. His heavy drinking habit and quiestionable world views made for one heck of a show. Until a rare and unfortunate anvil accident stopped Jackie in his mangled tracks. His bright burning star burnt no longer. Until now! 50 years later and Jackie is back! 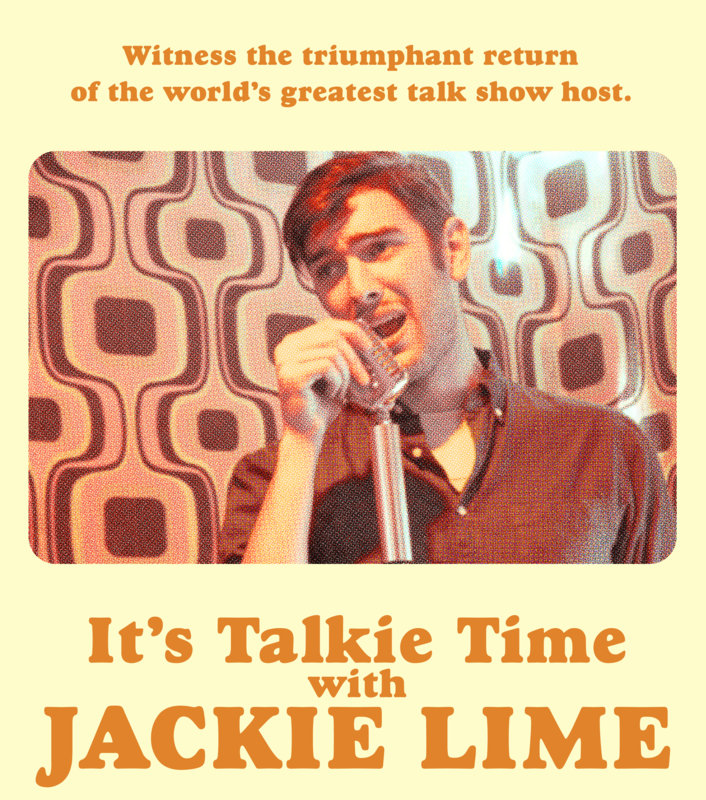 Making his triumphant return with a brand new show, it's 'Talkie Time With Jackie Lime!'. Inexplicably taking place at The Improv Conpsiracy in Melbourne, Australia. Come and witness the epic return of one of the worlds most exceptionally average entertainers!